Filed under apple on April 07, 2009. 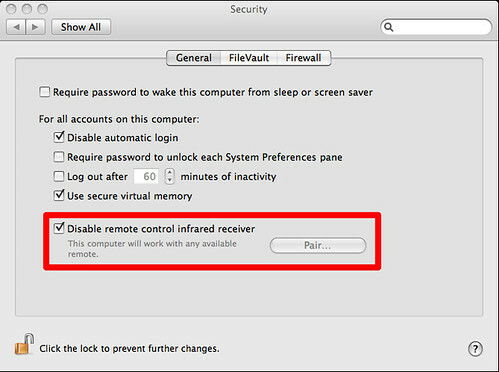 Here’s a quick, yet very handy tip when that pesky Apple Remote activates Front Row (for old school Macs) or other apps on your Mac while controlling your Apple TV. That’s it! Short and simple fix.